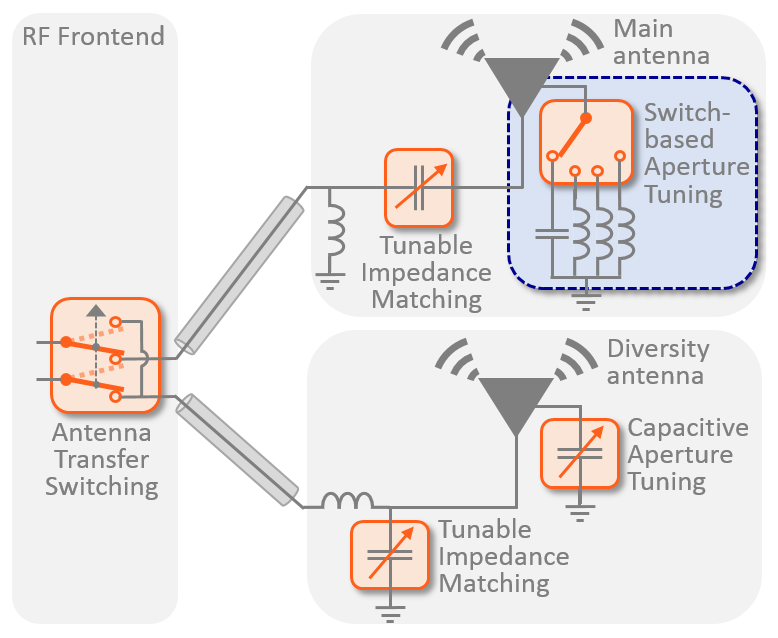 SmartTuners allow capacitive based aperture tuning of the antenna. SmartSwitches can be used for both capacitive and inductive aperture tuning. Inductive tuning gives an additional degree of design flexibility to maximize RF performance in your smartphone. Cavendish Kinetics RF MEMS SmartSwitches deliver maximum industry performance in every category. This results in maximum signal strength, highest data rates, and longer battery life. Cavendish Kinetics SmartSwitches also support the most challenging Carrier Aggregation band combinations with unparalleled linearity. Each switch can be independently controlled and used in combination with any other switches. This maximizes use conditions and increases design flexibility. If you need more information about SmartSwitches contact your local CK representative or go to the contact page.